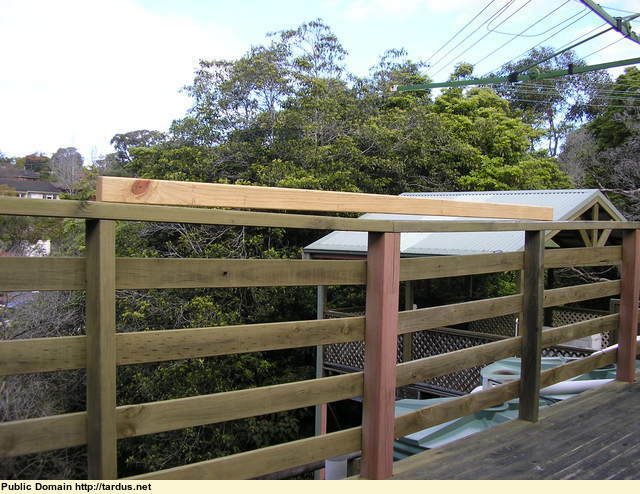 No, not the deck on a boat, but a timber deck on the back of my house. 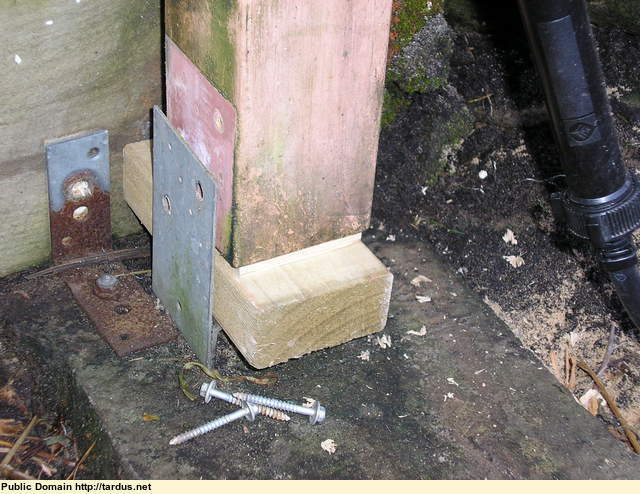 As you can see the deck has sagged badly - about 40mm, where one of the timber posts has subsided. 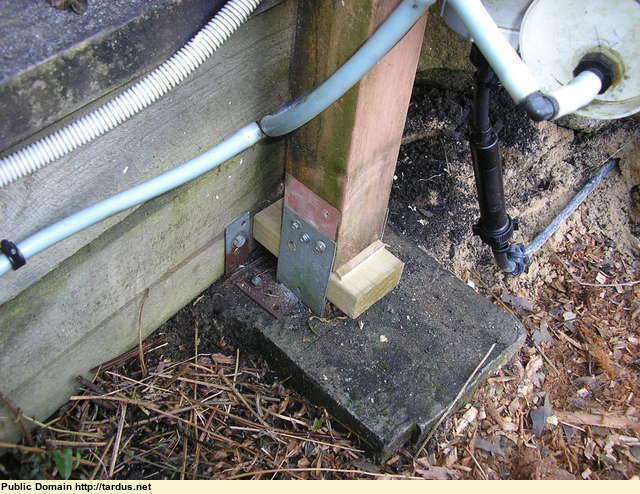 The concrete pad on which the post rests has sunk into the soft ground. 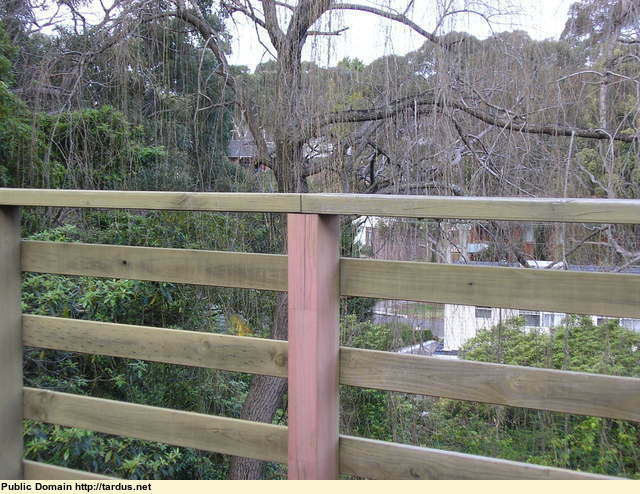 Here you can see a view of the entire post, which is in the middle of the deck's outer edge, on top of a filled section of land behind a stone retaining wall at the top of a steep slope into the gully at the back of our place. 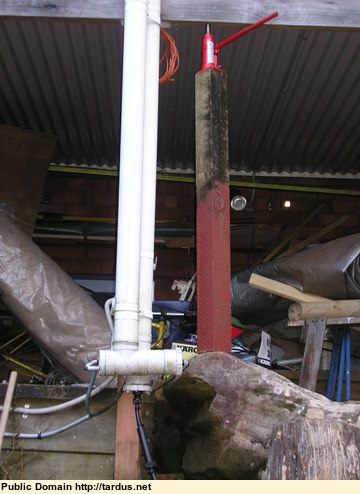 After many months of putting a repair off, it was in fact simple and easy, using a 2 tonne hydraulic jack (from the days when I did my own car repairs). 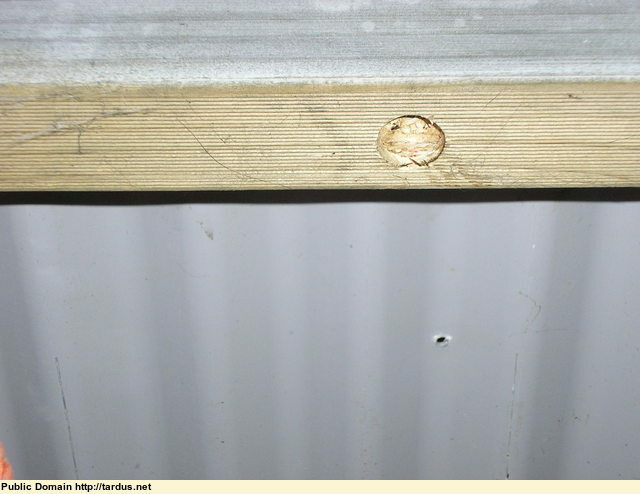 First step was to drill a shallow hole (22mm diameter in this case) in the bottom edge of the main beam supporting the deck, to locate the round top of the jack piston. Don't want it slipping off! 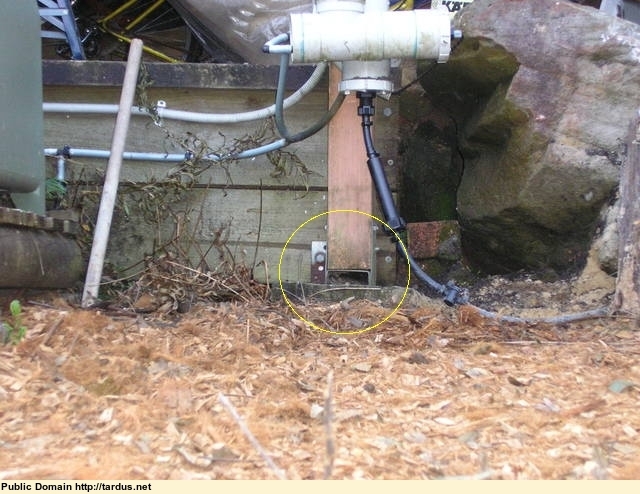 Here you can see the jack resting on a 100mm square piece of timber I had lying around (ex fence-post). The piece of timber is resting on a big rock that was there before the house was built (I presume - that was in 1965, before we owned the place). 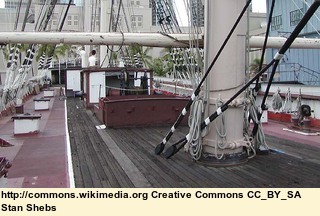 The jack piston located in the hole in the horizontal main beam of the deck. 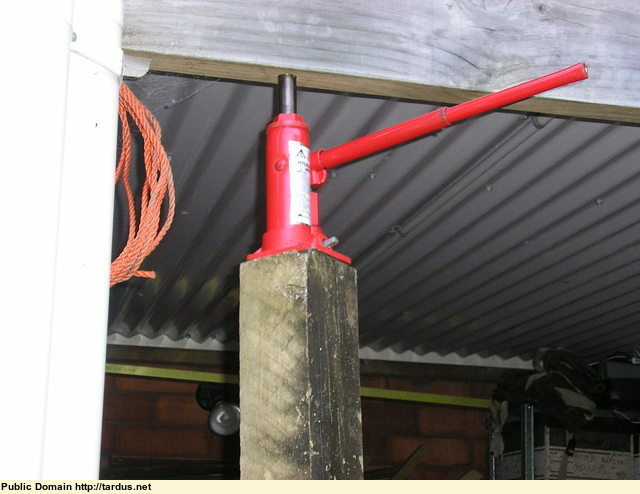 The lower post bracket, made of galvanized steel, bolted to the concrete pad and screwed to the post. This is a standard hardware item. 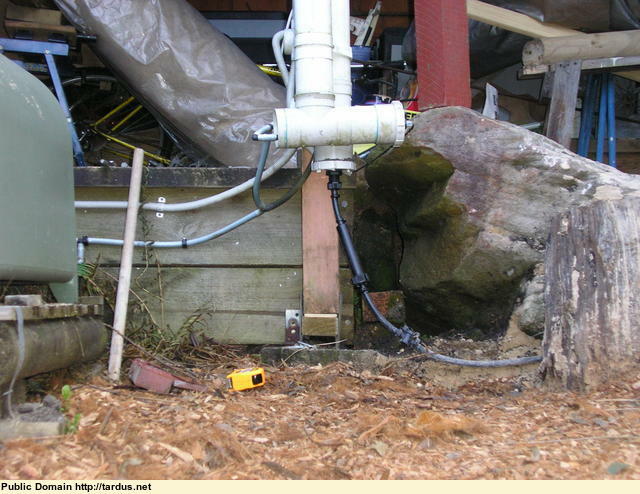 I removed the screws holding the post, then gently pumped up the jack, until the straight-edge piece along the deck's railing showed no gap. 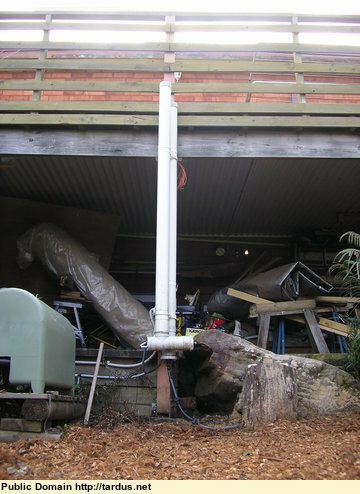 ... then packed between the bottom of the post and the bracket with some scrap timber. I put back the screws securing the post to the bracket, removed the jack ... and that is it - simple (providing of course that you have a good solid rock for the jack to push against!). If it settles again I will have to do a mite of digging and put some quick-set concrete under the rather small pad that is there now. The jack will come in useful again if that happens.